The lead photo shows the new wall abuilding in front of the entrance to the Visitors’ Center a bit farther along than in the last post. 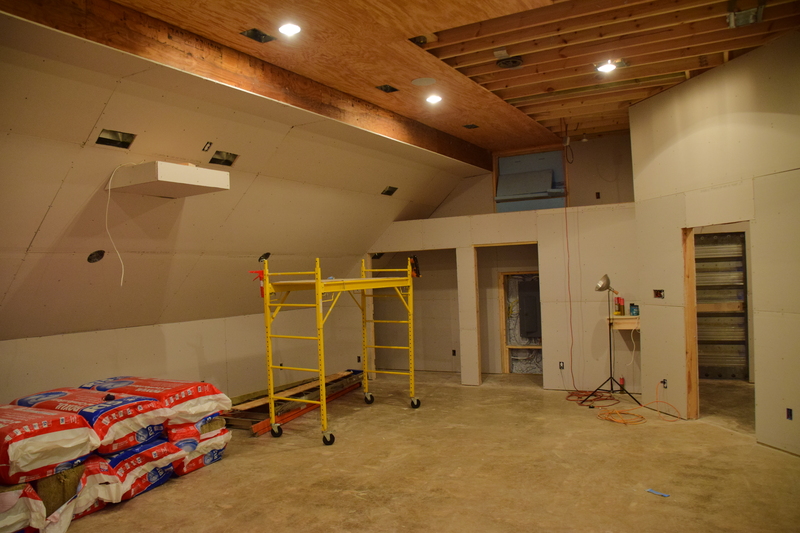 It’s about all we have to show for the month of December –January other than some more sheet rock and the start of installing the beadboard ceilings in the Center. 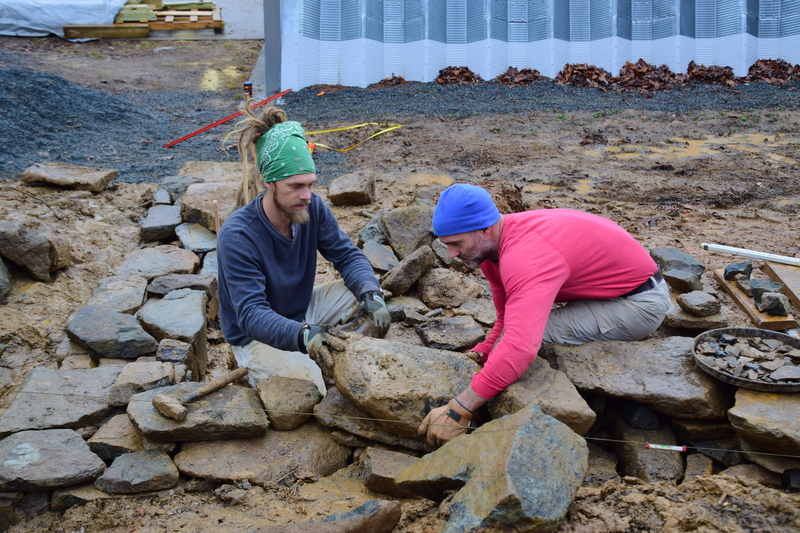 Here Devin and Luke are playing in the mud while wall building. 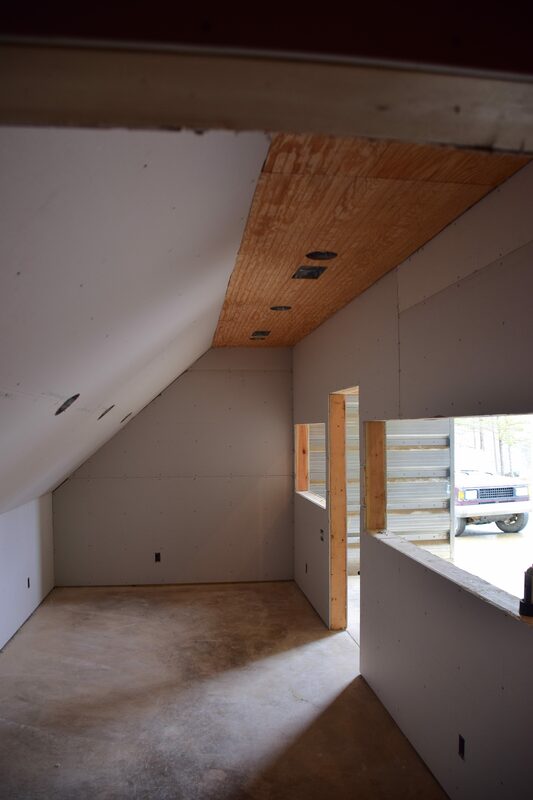 And here are a couple of pictures of in progress inside. Catriona Tudor Erler has written an article about the project for the April issue of Virginia Living magazine. We’re scrambling to find seasonal photos to accompany it, since last April when the flowers were out we weren’t very far along. Work on a newly designed website that will enable users to sign up for scheduled tours is underway. And we have agreed to have the Quarry Gardens open for the Nelson County Historical Society’s Historic Home tour in May. Other than that, the garden sleeps.